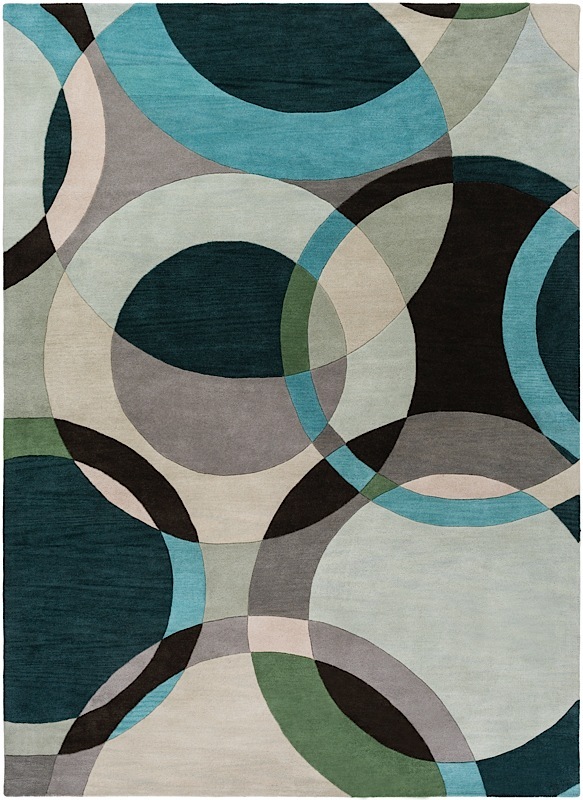 Color and geometry combine in the Forum Rug's bold, modern print. 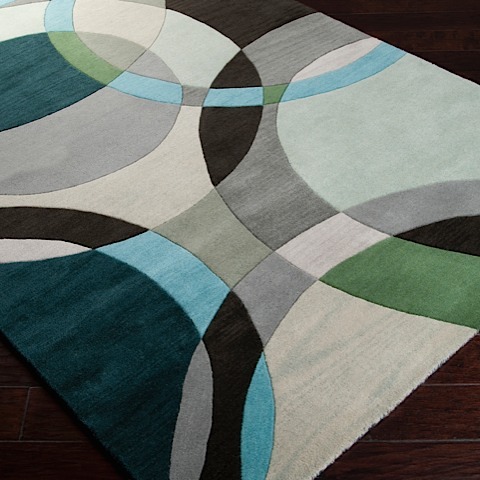 An overlapping pattern of rings intersect in a striking contrast of color, tying together hues of aqua, dark green, black, cream and blue into an accent rug you almost feel bad walking on! However, since Forum is hand-tufted from 100% wool and backed with canvas, it's impossible to resist sinking your toes into its eruption of cool tones. 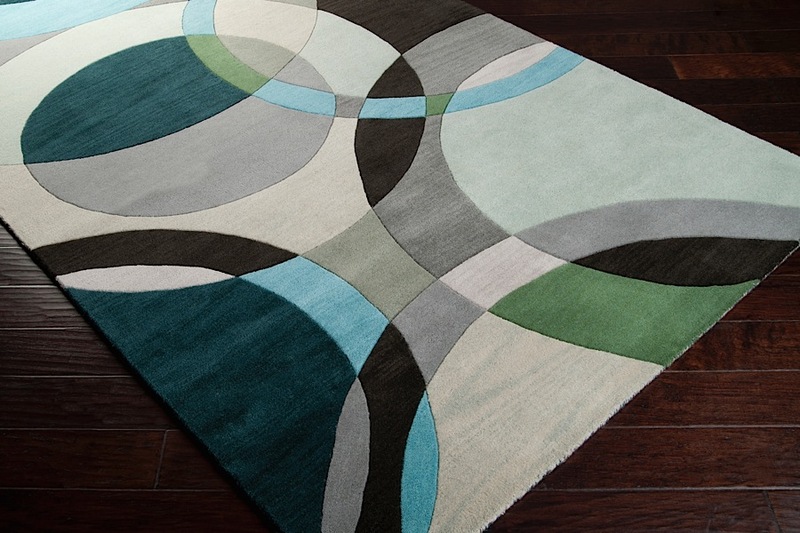 On the bright side, the Forum Green Rug's soft, medium-height pile will hold up to whatever you throw at it. 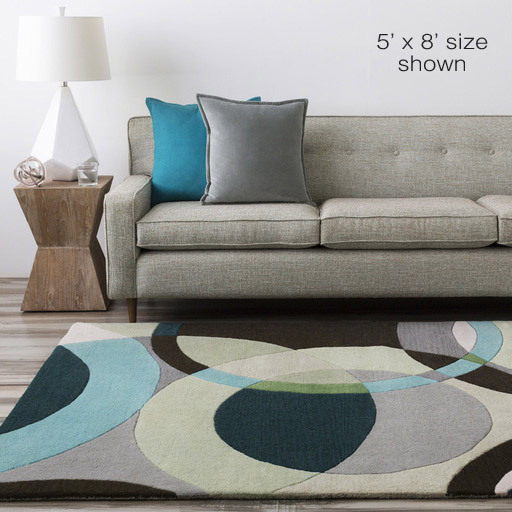 Choose your size and add color into your home today!